Italian food in India has gone beyond just the pizzas and pastas that it used to be a decade ago. People now actually understand and savour the taste and texture of Italian dishes rather than loading it up with chilli and spices. 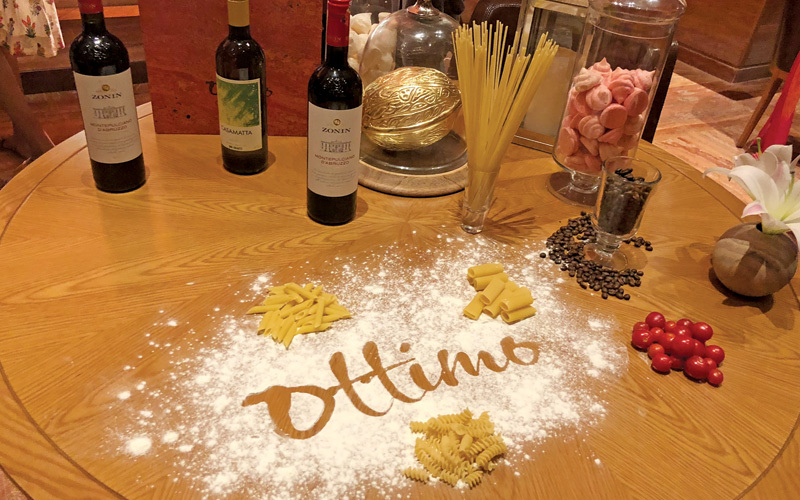 Hyderabad’s latest Italian offering—Ottimo in ITC Kohenur is ITC’s signature Pan-Italian brand and the fourth outlet in India after Chennai, Bengaluru, and New Delhi. The name translates to “excellent” and if you’ve visited the restaurant, you would agree that it is quite aptly named. Launched in August this year, the eatery overlooks the beautiful skyline of the city, with a spectacular view of Durgam Cheruvu lake and the historic Golconda Fort. It offers a highly interactive live kitchen setup where Italian chef Vittorio Greco and his team dish out authentic and delicious offerings for lunch and dinner, each prepared from the finest local and imported ingredients. There is also a walk-in wine cellar that stocks the finest of wines from the world over and adjoining Ottimo is Skypoint Bar, the hotel’s luxury rooftop bar that offers premium alcoholic and non-alcoholic beverages. Inspired by terracotta pots of Italy, the interiors of the restaurant feature splendid artefacts that are local to Italy, combined with brickwork and copper accents. The stunning floor of Travertino Rosso is worth a mention too. But the highlight is most definitely the vintage Italian Fiat car that is mounted upside down on the ceiling of Skypoint, giving the space a quirky element of drama. The menu is extensive, ranging from vegetarian offerings to poultry, meat, and seafood dishes, and you can be rest assured that each plate has nothing but the best ingredients. Although the portions may not be large to share, it will surely fill one person’s stomach. Another thing worth a mention is the plating; the attention to detail is quite impressive, we must say!